Made with up to 99.7% pure salt, this premium-purity water softener salt softens hard water simply and effectively. 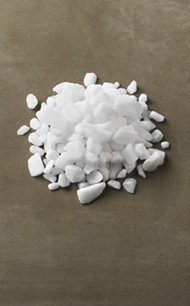 When used in your water softener, Supersoft® Water Softener Salt Crystals removes several hard minerals from your water. 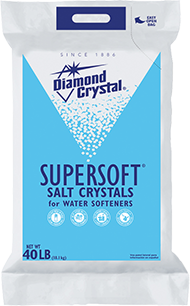 Diamond Crystal® Supersoft® Water Softener Salt Crystals are recommended for use in most water softeners. Available in limited areas.